I don’t main a hunter, I main a warlock. Typically I’m squeezing my controller and cursing all hunters everywhere for leaning on that stupid one-shot golden gun. I mean who can’t line up a shot with a hand cannon, right?! For once, though, I’m willing to concede that hunters are in need of a buff. By now it’s been well-documented that the hunter’s Shadow Shot ability is not performing as intended. Toward the end-life of the original Destiny players started noticing reduced effectiveness of Shadow Shot due to lag, and whether lag is the culprit this time around we can’t say for sure, but I think that we can all agree that it needs some tuning up, along with Hunter speed, generally. In this Reddit thread are multiple gifs and videos of hunters showing frustrating moments in the Crucible where their Shadow Shot failed to operate as intended — as promised — resulting in unfair deaths. Here’s one clip showing showing a hunter with his Arc super activated. As he goes on an acrobatic rampage, the player fires off a perfectly-aimed shadow shot, which should have tethered him in place, debuffed him, and canceled his super. Instead… Well, you’ll see for yourself. Can we talk about this, Bungie? Listen: Making video games is hard, and fixing video games is hard. We’re well aware that there’s never a convenient “fix” button that Bungie can magically press to make this all straighten itself out. We would love acknowledgment that this is happening, though. Shadow Shot has two main boons: It can cancel enemy supers, and it keeps enemies tethered to a single spot to make it easier for teammates to eliminate them. Currently, it is doing neither of these things consistently. For those who love to spend their time in the Crucible and play competitively, what incentive do they have to roll with the Nightstalker class? Like I said, I main a warlock, and I’m not looking forward to getting smacked with a Shadow Shot the way it was intended to hit. We need more variety in the Crucible, though, and all players deserve to have fun with the Guardian and sub class they’re most attracted to. Have you experienced any issues with the Shadow Shot? Do you think hunters are broken? 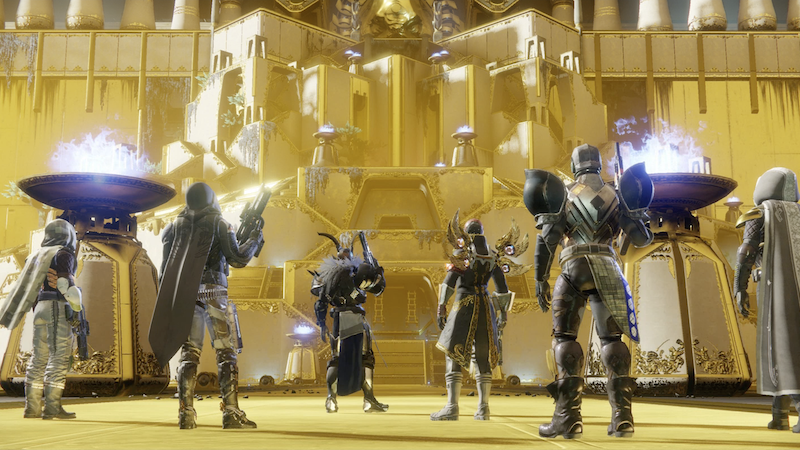 Destiny 2’s first raid, called Leviathan, is an absolute beast. As designed, it requires careful coordination and the right combination of gear for a team of six high-level players. But late last week, the final boss was defeated by an enterprising team of two. It’s a tremendous run, which we’ve embedded above, and clocks in under 15 minutes. As someone who spent three very long nights last week trying to beat it, I learned a lot. What follows are spoilers for the Leviathan raid in Destiny 2. The trick that makes this run possible comes thanks to Adnan Özsarigöl, who posted a how-to on YouTube. He showed how to solo the raid’s so-called “Shadow Realm” by scooting all the way to the right side of the level and pushing forward to get stuck up against the terrain. Once lodged there, the projection of Calus can’t pull you in. One of the players in this video, who goes by Cookiez, uses that strategy to great effect. Once in place, he’s able to shoot every enemy on the board right in the back at a leisurely pace. The Leviathan raid as a whole is one of the very finest raids that Bungie has ever made. If you’re closing in on level 280, check out our guide. Remember when Destiny 1 players figured out that you could easily beat a raid boss by pulling your LAN cable? Remember how hilarious it was, and how hollow you felt afterward? If you want to feel that way again, you’re in luck. Destiny 2 raid spoilers follow! Over on the Destiny subreddit, user 07yourdesires has posted a new exploit (aka “cheese”) for the fight against Calus, the final boss of the new Leviathan raid. By having one player carefully time a log-out after your team wipes, the game will stop spawning enemies into the main room, which makes the fight a lot easier. It’s fun to imagine how anyone could have discovered such an arcane process. YouTuber theMoDfatheR gaming posted a video of him demonstrating the technique on Xbox One, and Willisgaming subsequently posted another walkthrough showing it working on PS4. Several players in the reddit thread also say they’ve replicated it. Some players say they’ve actually known about it for a while, and that the same approach despawns enemies during other encounters in the raid, too. Five players run up to Calus and stand near his feet. One stays behind. He’ll stomp and kill the five at his feet at the same time. The last remaining player then commits suicide by standing in one of the torches near the door, preferably timing the jump for right when Calus stomps. After the last player dies, they have to log out or go to orbit at the precise moment between when the “all players dead” skull-countdown screen is at one second and when it fades to the black post-wipe results screen. There are a couple options for getting the timing right: One suggested method involves pressing “go to orbit” when the countdown clock is at 4. Another involves picking the “log out” option in your menu, then waiting to confirm until one of your teammates gives you the cue. After you do that, the remaining players should spawn back into the room, but this time all the doors will be open. The player who left can then re-join. Once you start the fight after enacting the cheese, there’ll be no additional enemies in the main boss room for the duration. The enemies in the main room are a big problem for the team that comes back from the shadow realm. Their absences means you can leave four or five players in the shadow realm, since only one player really needs to go back to the main room to take out councilors and DPS the boss to bring everyone back. Furthermore, with no enemies in the main room, everything is a lot less hectic and difficult. With three years of Destiny under our collective belt, many of us are more aware of how this kind of exploit can harm the overall raid experience. 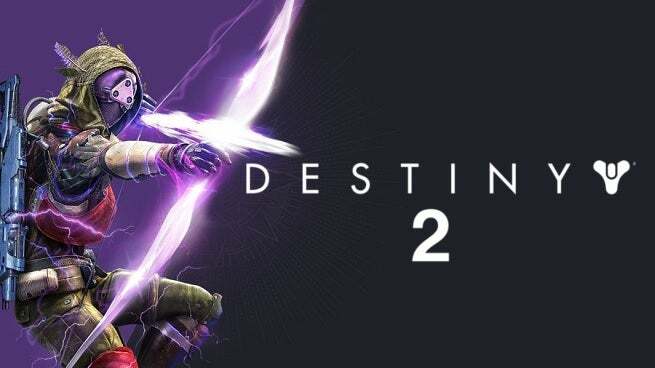 The discovery of this exploit has led to an interesting discussion among Destiny 2 players. With three years of Destiny under our collective belt, many of us are more aware of how this kind of exploit can harm the overall raid experience. Not only does it undermine the sense of accomplishment after finishing the fight, it’s likely that many more pickup groups are going to want to do the cheese instead of the proper method. Granted, the Crota fight from the first game was buggier and more annoying than the Calus fight in the sequel. But the Calus fight does have some infuriating bugs (those randomly porous shadow walls!) and other frustrating aspects (hello, Psions) that can make even the most patient team consider cheesing it. News of the exploit is already quickly spreading across the Destiny community, so it’s likely only a matter of time before Bungie patches it. In the meantime, if you and your team want to get together and earn some easy loot, this is certainly one way to do it. But if it winds up leaving you feeling empty inside, don’t say I didn’t warn you.